Get more time in your day by preparing your meals. Dealing with celiac disease, you often to make almost everything yourself. That’s a lot of time spent in the kitchen. 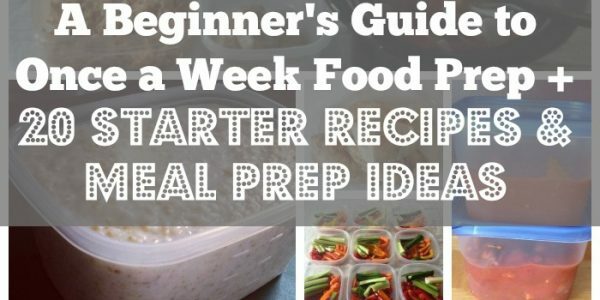 Instead of doing one meal three times a day, why not prepare some of your ingredients for the week ahead of time? If you plan out your meals ( I know, seems hard right) you know what’s coming and can be ahead of the curve. This article from Organize Yourself Skinny takes you step by step through the process, giving hints and telling you it’s okay not to tackle everything at once. Especially if you’ve never done it before. Food prep can be anything. You donâ€™t necessarily need to cook all your meals completely. It can mean chopping up onions, peppers, or other vegetables ahead of time for recipes. Washing fruits and vegetables so they are ready for snacks. Portioning out nuts, crackers, or other food items for snacks. Cutting up chicken or beef to be recipe ready. Whatever is going to work. Well, duh! This makes perfect sense to me. And I didn’t even have to cook anything. This one tip alone will save me oodles of time later on. So go here and read the rest of the tips. Click here!